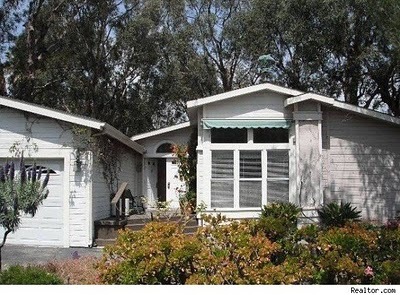 We are all about mobile homes and living within our budget here at Mobile Home Living. 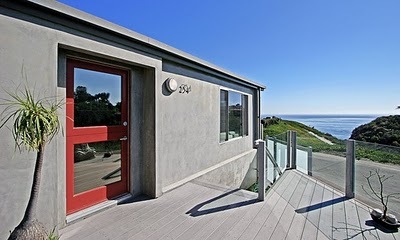 But, sometimes we like to look at expensive mobile homes and the unlimited potential that can be found in mobile homes. There’s a mobile home in Malibu, CA that has been getting a lot of attention lately. It went on the market in spring of this year (2011) with an asking price of only $2.5 million, and that’s just for the mobile home. The land it sits on is in a mobile home park and the lot currently rents at around $2,000 a month. The home is a standard 2 bedroom, 2 bath doublewide with an attached garage. The best feature of the home is the view you get. It overlooks the Pacific ocean and it is unobstructed. That’s why it is so expensive, well that and the fact that you have movie stars as neighbors. The home sold this month for an even 2 million in cash. In my opinion, this looks more like a single-wide mobile home that has been added on to and completely remodeled, not a doublewide. Since I can’t get confirmation of that I will continue to call it a double wide. The home seems to be very spacious and has an open layout. Cathedral ceilings are seen in the photo above as is a skylight. Interior of 2 million-dollar home. There are several mobile homes in the California market with asking prices exceeding a half million dollars. MSN.com has listings for several. 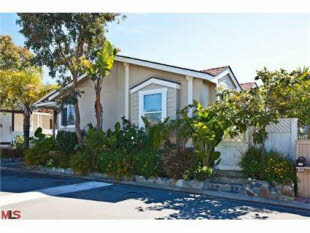 The following also has 2 bedrooms and 2 baths. The asking price is a mere $825,000 which is a bargain, I’m sure, in that market. This next one is my favorite, it is a 1970 mobile home that has been completely remodeled and given a contemporary look. 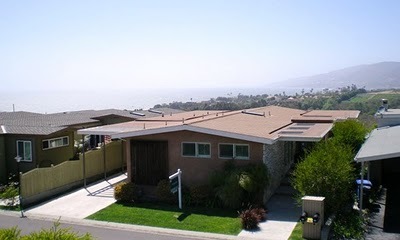 With 3 bedrooms and 3 baths and situated in Malibu as well, it is listed for 1.69 million. I think everything about the exterior of this home is magnificent. It has a large front door and that gives the entire home more of a house feel. The deck is surrounded by glass and is built on a diagonal which leads to the modern aspect. This home is listed for $1.09 million. It has 3 bedrooms and 3 baths and is a 1990 model. These homes show that even the mobile home can be a multi-million dollar listing. When you are looking to update your home don’t forget to look at the real estate listings of your area. They give you great photos of actual homes owned and lived in by real people. Thanks for reading Mobile Home Living. 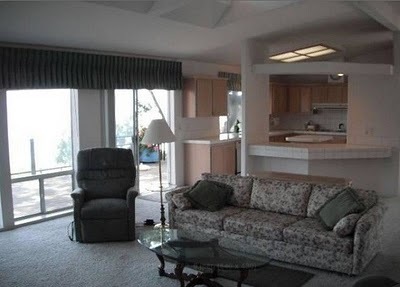 We have daily posts of the best in mobile home living. Don’t forget to comment, email and visit our Facebook page. The 2.5 Million home is a Silvercrest. Check out their Manner series and you will see photos. Notice the window and siding treatment are the same. Thanks for the great web page! I like that one too!! There are so many great manufactured homes in this country, so many talented people that can take something so standard and turn it into gorgeous..Thanks so much for reading and commenting! You know there's a rumor that Tim McGraw and Faith Hill own a huge house right down the road from me (to clarify: right down the road is WV slang for 10 or so miles) so I have a good start huh?!! Thank you so much for your kind words. I do appreciate them so very much!! Well this is inspiring! Perhaps I could fly mine out to Malibu. Or maybe we could get the movie stars to relocate near us. I just love these remodels! Crystal thanks so much for finding these amazing stories, I love this blog!